Crete itself being an island in Greece is known for its famous beaches whether they are big or small. They are best for spending a long day under the sun. 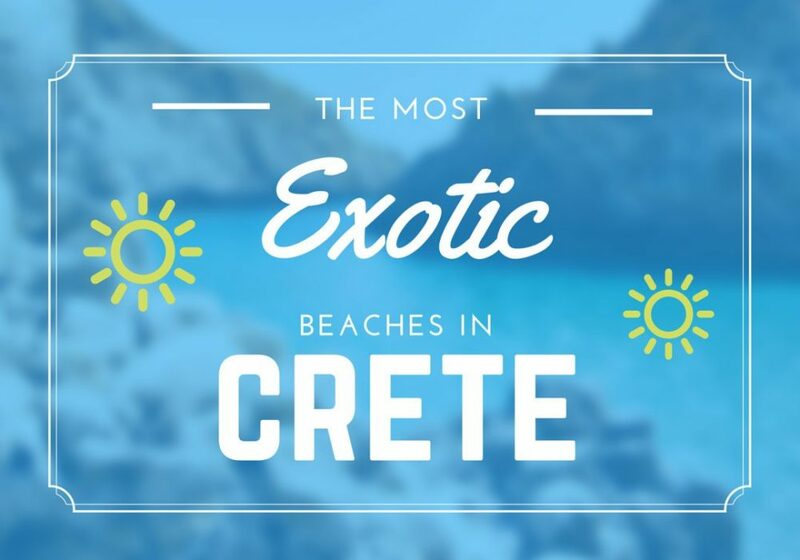 You can spend really good summers here at the beaches of Crete if you are in to skinny dipping, water sports or just want to lay sun bathing yourself. So let’s discover the paradise in Crete and tell you about the most exotic beaches of Crete island. 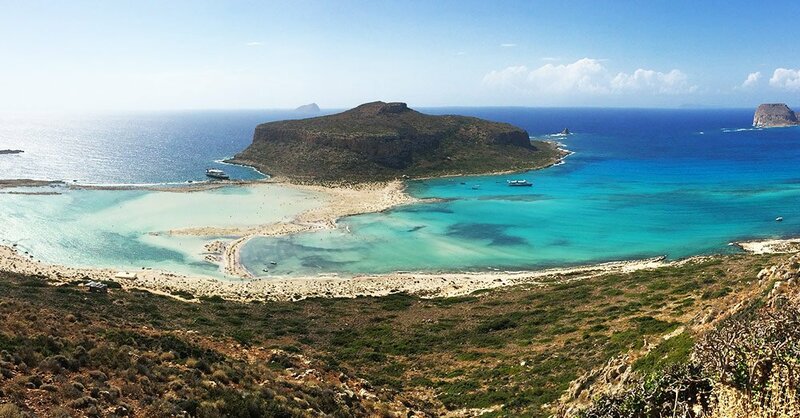 The Balos Beach in Crete is located in Chania Town. The beauty of the beach seems like a lagoon if you see from the hills. The beach has crystal clear water, so pretty as if artificial but that’s the beauty of the Balos Beach. The white sand is soft seabed. A rocky island is also found on the top of this island called the Gramvoussa, where you can see a Venetian castle with a gorgeous view of the sea. Book a Full day boat cruise to Balos beach. The Vai beach is also known as the Palm Forest consisting of 5000 trees that makes it the largest forest of palm trees in Europe. Talking about the beach, the blue water and the white sand is what attracts the families here to spend time and makes it welcoming for them to come here. The tropical and magical look of the beach makes it very crowded during the high season. You will also find coffee places and snack bars here. Voulisma, also known as the golden beach is famous for its turquoise water and white sand. One thing that makes Voulisma different from other beaches is that it is very organized. It has a proper setup of sun-beds, umbrellas and water sports. So if you are looking for the water activities and to relax when going for a beach, this is definitely your type. Take your partner here to enjoy the romantic setting of the Matala Beach. The beach is very touristy with a very lively atmosphere. You will never be bored here and will always be up to doing something. The beach is usually crowded so if you are looking for somewhere to get away but need to enjoy the scenic views of the beach, you can climb over the hill to the Red Beach having a touch of the Matala Beach’s tradition. The beach was once known for the hippy community but now they are long gone and now it’s all about the tourists. Be a hippie for a day in Matala beach with this tour. If you are looking for a peaceful and calm environment, you must spend some time at the Istro Beach. The beach is very huge and its perfect setup of the umbrellas, sunbed, blue water and golden and white sand makes this a place to relax and forget all your worries. As the beach is large in size, there are also spots for privacy if you require. You will also find many taverns here providing you with the fresh sea food and Cretan cuisine which is a must try. Are you ready for windsurfing? Then buckle up and get ready for it. Come to the Falassarna Beach in Chania Town and enjoy the experience of windsurfing. During the summer months there is a windsurfing station here. The beach is a very good spot for families with kids as they have organized facilities for them. It is known as being one of the cleanest beaches of the Greece. A few accommodations and taverns can also be found near the beach. Falassarna has also been awarded as one of the best beaches in Crete and is among the top ten beaches of Europe too. Above the beach, you may find the ruins of the ancient Roman city of Falassarna. 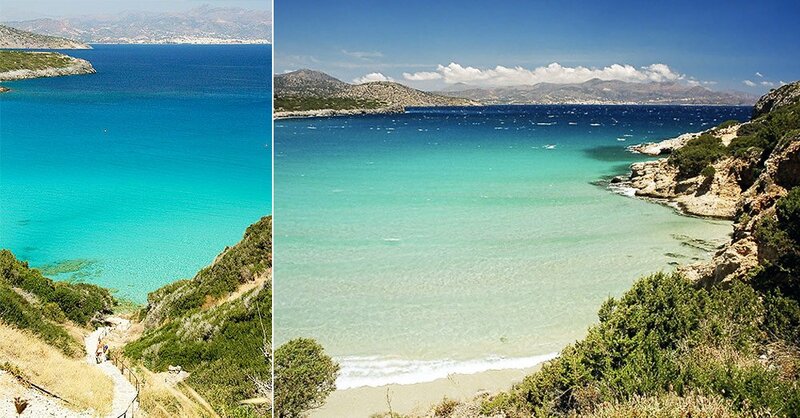 Elafonisi Beach is known as the heaven on earth so you must be wondering how beautiful the beach must be. The sand is of soft white and pink in color which has cedar trees in the coastline and thus, such beauty makes it a paradise for you. The water is very aqua in color and is calm, shallow and amazingly warm. The beach was deserted long time back but now you will always see it crowded during the peak summer season. You can find cantinas and also camp here, but other than that there is no such accommodation setup available here. The beach is also ideal for children as the water does not exceed 1m, which creates a small lagoon for them to enjoy. You will also find umbrellas, changing rooms, lifeguards, showers and snack bars here as this is one of the most organized beaches of all. Book a bus trip or book a rental car explore Elafonisi beach on your own. As the name suggests, the beach has taken the name itself as it provides cool fresh drinking water from the springs bubbling up beneath the pebbles. The beach is dark and deep. There also is a cave with a shrine, a favorite spot for the tired hikers. One thing to keep in mind is that there are no bathroom facilities available at the Glyka Nera Beach so come prepared. The Glyka Nera beach is a preferred spot for the naturist and campers too. It is one of the well-known beach resorts of Crete and has an exquisite coastal village. The beach is very popular but isn’t very crowded and is peaceful, calm and quiet whenever you go there. You can find the sunbeds and umbrellas on rent here. So if you want a place to relax and need a peace of mind, Sissi beach is where you must go to. If you are looking for a place to grill your fish in an open atmosphere with a scenic beauty, Gavdos beach is where you can plan all such activities. The beach has lots of pebbles and has a little shade, the water is clear and clean. It is also famous for snorkeling, so you can come up here and have a little snorkeling experience. Also, climb the famous three holed rock when you come to the Gavdos Beach. The Stavros beach is a dead calm and a suitable beach for your kids. The scenery of this beach is absolutely amazing and has mountains on the side of the bay. You can also see a cave whose entrance can be seen from the beach that contains an ancient sanctuary. The beach always is crowded whenever you visit. In Stavros beach you will find accommodation options and restaurants as well as shops, cafes and mini markets. You can also get to the beach via a bus from Chania city. If you are into windsurfing, this is going to be the beach for you. The winds here create an ideal situation for you to do windsurfing as it requires. You’ll find the beach with a mixture of sand and pebble and find lots of taverns, accommodation options and even a bar, all behind the beach. A windsurfing center is also there. Something that adds to the atmosphere is that it has a community of camper vans during the summer season. What is your favourite exotic beach? Share with us your opinion or suggest a beach we may have missed on comments below.